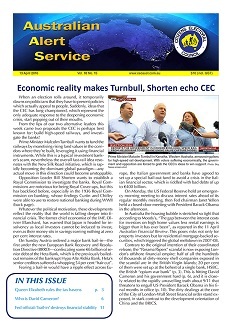 The Australian Alert Service, magazine of the Citizens Electoral Council of Australia, brings you strategic reporting and programmatic solutions each week. The AAS is 20-pages, plus 4-page Australian Almanac. 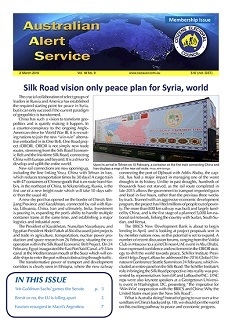 Subscribers to this electronic-only offer receive a download link by e-mail, for the AAS in pdf format. For other delivery options, phone +61 3 9354 0544. Subscription charges are billed in Australian dollars. Add the item to your cart and click the currency conversion link in the Minicart at top left to see the price in your local currency. 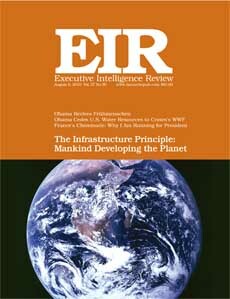 EIR is a 40 -50 page weekly international news magazine. Order a single copy here. Scroll down for subscription rates. 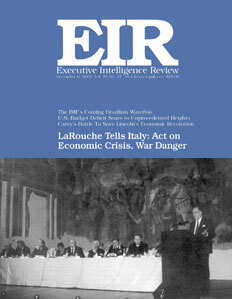 EIR is a 40-50 page weekly international news magazine. The CEC has a twenty year-plus record of correctly warning of the current economic crisis, and has consistently presented the solutions to our political leaders. 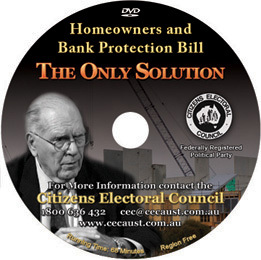 Order the CEC’s feature documentary, the Homeowners & Bank Protection Bill—The Only Solution, to see the story the media won’t tell you.